This blessing conveys my prayer for my own work and for yours too. In times of busied, stressful work the desperate need for attentive focus on our souls can create space for a bathing balm. Take the time this weekend to do just that---reflect, refresh, renew. God knows we all need it. I hope to see you this Sunday for both the special service project at 9:30am in the lounge, and for worship at 11am. If you're in town this Labor Day holiday please make every effort to join your sisters and brothers around the Table of Christ. Our series of services around the theme Come to Worship concludes with my communion meditation entitled "Offering." Binkleyites of all ages are invited to “knock down mosquitoes” for Grace Church, Maesai, Thailand. Intrigued, curious? Well, come and find out! We are raising money for Grace Church, related to us through American Baptist missionaries, Scott and Tan Coats. Grace provides a home for 45 stateless youth, including Adul, pictured here. 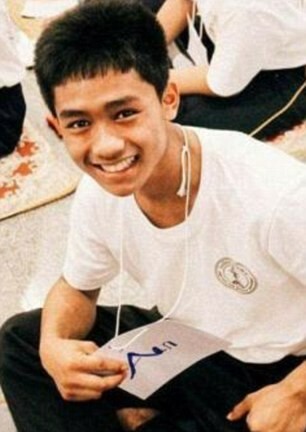 Adul was one of the boys on the soccer team trapped in the cave. These youth would not be able to attend school safely without this support (it’s a longer story!). We want to help! They have school supplies, but they need new bedding ($15 each) and mosquito nets ($5 each) . Together, through our donations, we can make a difference. It will be an exciting morning, as we will have the opportunity to talk with Adul directly via technology! Breakfast snacks, juice, coffee provided . Children and Youth are particularly welcomed! Please see Stephanie Ford with your questions and offers of volunteer energy! 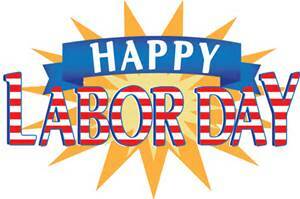 The church office will be closed on Monday, September 3, in observance of the Labor Day holiday. The Blowing Rock Retreat has been postponed, but we are inviting all Men of Binkley to gather for a very informal get-together and hamburger/hot dog cookout. Afterwards, we will check in with one another, and engage in a discussion around envisioning self, family and Binkley possibilities for a future. All are invited: the more the merrier. It is BYOB (soft drinks provided) - and bring a few shekels to help cover cost. 103 Bella Rose Dr, Chapel Hill, NC 27517. Hope to see you! 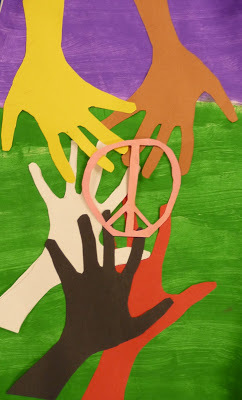 "A Year for Making Peace"
On Sunday, September 9, we launch into a new year of Sunday School with a gathering for all ages in the Sanctuary (9:30 am). After a time of song and prayer, and joyful introductions ~ youth and children will depart to their classrooms and adults will remain to learn about the wonderful class opportunities for Fall 2018. Check your September Newsletter for more info on Sunday School classes. The Reference Team has taken us through a congregation-wide process of examining positive and negative interactions with each other. From this exercise, they developed a Behavioral Covenant to be introduced at a Lunch and Learn Gathering on Sunday, September 16. In this session, they will share and demonstrate how we can use the covenant in both individual interactions and large group discussions or in problem-solving. The much anticipated Occasional Binkley Fall Open will be played Tuesday, September 18, 2018 at the Southwick Golf Course near Swepsonville. 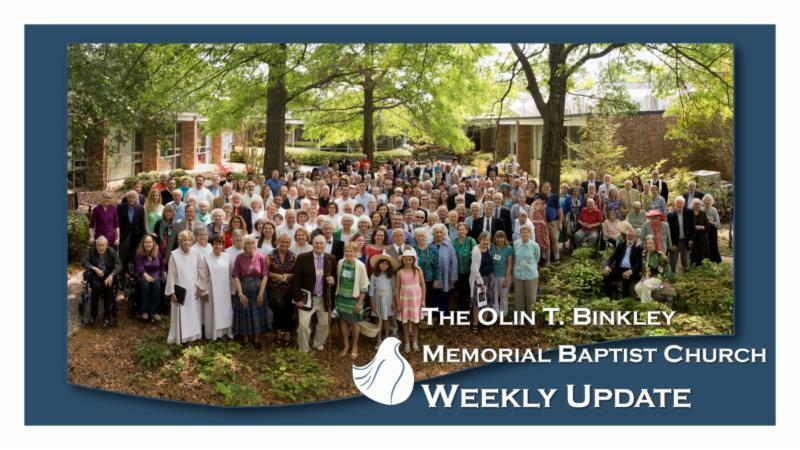 This will be the 26 th Binkley Open and will kick-off event of the Celebration of Binkley Baptist Church’s 60 th Anniversary. We will gather at 9:30 for team selection. The first tee time is 10:00 AM. The Open fee is $30 (make checks out to Joe Clontz and pay at the Tournament) and includes green fees, cart and a hot dog and drink at the turn. Information, registration and directions are available from Joe Clontz (919-969-4517); jclontz42@gmail.com . Registration deadline is Sunday, September 16. Join us for fun! Kerygma Bible Study led by Senior Minister Dr. Marcus McFaul, is a Tuesday night opportunity starting on September 25 from 7-8:30 pm in the Lounge. 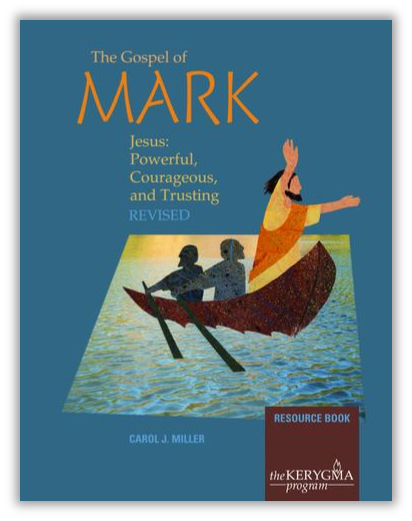 This 8-week study is on The Gospel of Mark. Workbook cost is $21 to be paid at the first class. Please sign up for the class by September 20 by emailing Marcus or calling the office 919-942-4964. Last Sunday evening’s Service of Lament is remembered in the prayer flags that hang from the baptistery this Sunday. The service was led by six church members as an opportunity to name and acknowledge our wounds and hurts together. 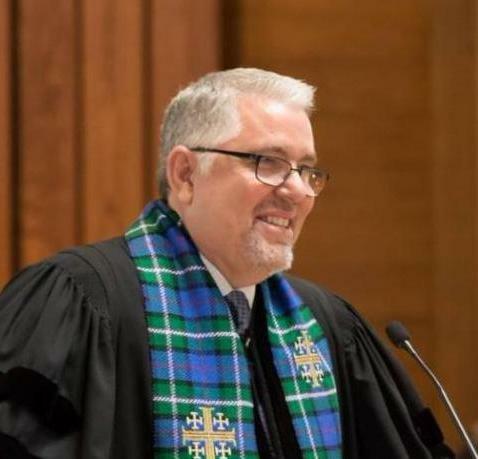 Following prayers, reading of psalms and music, cloths were ripped by participants in a ritual expressing our shared frustrations, grief, concern or anger. The cloth was then blessed and we shared communion. One participant chose to create prayer flags from the ripped cloth. Each flag holds a prayer for a loved one who is sick, for divisions in our church, for loved ones who are missed, for our church staff including Daniel Cherrix, for children separated from families, for tolerance for our differences, for our country, for our beautiful Earth, and for our future as a church. Messages to Daniel: Those of you wishing to send a message of support to Daniel are welcome to write a note and send it to the church office. You may also email him at danielcherrix@gmail.com. Dale is away this Sunday officiating the wedding of Zach Stutts (son of Ellen and Gary Stutts) to Kaylee Hooley in Seattle, WA. We rejoice with all the members of the Stutts family on this joyous occasion. The Earth Ministries Committee now issues our September Challenge: “Understanding Green Terminology.” As we continue to implement our “Proclamation of Sustainability,” we become more aware that each of us has an important role in this process. We’ve mentioned making sustainable choices when purchasing and using only eco-friendly products at all church functions. Now we need to learn the basics of “what goes where.” Everything has a place—do you know what that place is? Our challenge as a congregation is to learn how to utilize all the new collection containers and procedures so that we send as little as possible to our landfills. We challenge you to learn how to distinguish between materials that are recyclables, compostables, and landfilled trash. Then we challenge you to dispose of these in the correct collection locations. Finally, we challenge you to teach others. Material collected to be sent to a distributor for reuse or fabrication. All organic (not to be confused with “certified organic”) matter that is biodegradable and can decompose through the process of composting. The process of composting allows for the “recycling” of various materials that would otherwise be regarded as landfill waste or trash. Waste collected for transport to a landfill, material that cannot be recovered through single stream recycling or composting programs. Please visit the Earth Ministries table in the Narthex for visual examples of the above. Take our Green Terminology Quiz! It takes only 5 minutes to take the quiz, submit your answers, and we’ll see who our Green Terminology experts are!